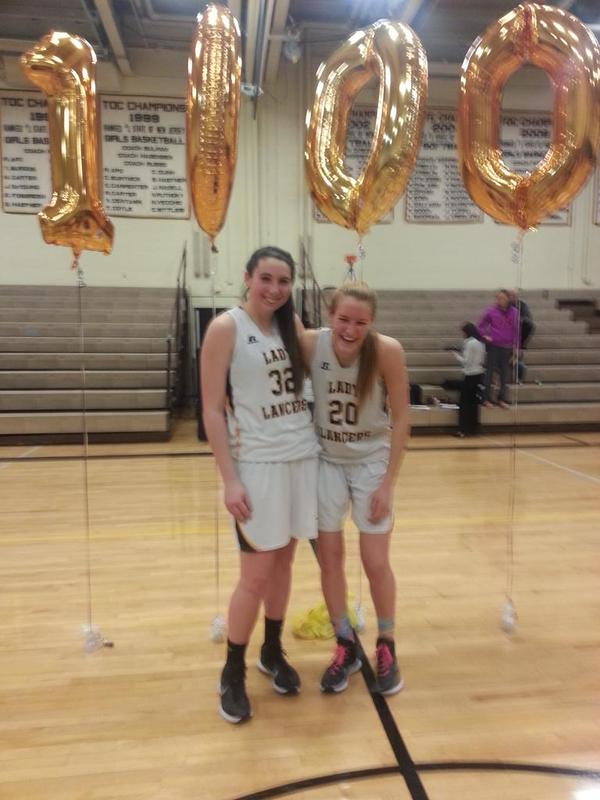 MEGAN FURCH…A PROGRAM KID FOR THE AGES! There is a term coaches use and its one of the few in coaching that is real, RIGHT DOWN TO THE BONE. When a coach uses this term, there is never an exaggeration. It is a term that all coaches wish they could use more….PROGRAM KID. I have NEVER known where the term has applied more that with MEGAN FURCH. Program kids cheer not just for themselves but for teammates as well…take a look! Programs kids are those kids when they graduate, you feel a emptiness. They are the kids you never want to see go. Program kids never think about themselves, they always worry first about teammates and the school they represent. They don’t complain about playing time, they don’t care about who is getting credit. They care about one thing, winning and being a teammate. Program kids cheer harder on the bench, they never get lost in their situation. Program kids don’t believe the grass is greener on the other side. Program kids are energy givers not takers….everyone is happy to see a program kid and coaches never want to let them go…MEGAN FURCH IS A PROGRAM KID. Most shore fans don’t know Megan Furch, because she has been a backup at SJV for 4 years. She is a very talented player and can do a little of everything. You may have seen her cheering on the bench like a mad women. Long before Monmouth University made cheering for your teammates fashionable, Megan Furch had been doing it. Megan Furch is somebody that could have if she had choose too…. played for EVERY SINGLE TEAM IN THE SHORE AS A STARTER. 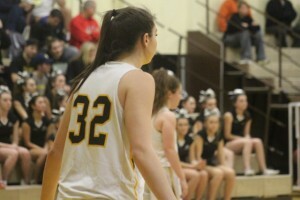 Let me repeat that Megan Furch today would start for every single team in the shore right now, except one SJV. So why did she stay at SJV? Because as she told me once ” I love my teammates and Coach Karpell”. To understand this chain of thought, you must be like Megan Furch and see the big picture. Making Teammates smile…Program kids have a way of doing this! When I see Megan Furch, the first thing I say to her is this “I don’t like you” and she knows its not true. Because if you don’t like Megan Furch, I assume you are somebody that doesn’t like cool breezes and sunsets looking over a blue sea…meaning you are sad case. Because Megan Furch is somebody who gives her heart and soul to her teammates and everyone around her. 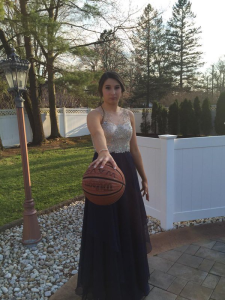 This is somebody who roots hardest for the very players on her team, who play her position, the very players who prevent her from getting more playing time…. now you understand why she is a PROGRAM KID, and why program kids are sooo hard to find. Megan Furch will be attending Haverford College, right outside Philly to play basketball and volleyball. Haverford is one of the most selective schools in America and I understand why now. Megan Furch is one of the most selective kids I know, there are just not many like her out there. Haverford is one of the best Liberial schools in America, as in the 8th best in the country. It’s a place for special people and Megan Furch is a special person…because SHE GETS IT…HER FAMILY GETS IT! Want to know everything about a kid? Find the parents..in this case, it doesn’t get any better! Megan Furch parents care more about pride and tradition. We live in a time where just being part of something is no longer enough. We live in a time where if kind words are said to another’s, it breeds jealously. It not easy to play sports these days. Megan Furch is different because she knows such selfish things will pass in time. She understands that such things can’t stand the test time. She understands those are things, which are built of sand, they are temporary. She knows being a quality person and giving more of herself to others and in this case a school makes her special and this folks is not built on sand…the things that matter to Megan Furch are as sold as a rock and will never disappear…Mr. and Mrs. Furch it’s time for you to take a bow! I doubt Haverford even knows that Megan Furch had scholarships offers from other schools. I doubt they know she made it clear that she wanted to go to a great academic institution. I doubt they know they are about to get one of the best freshman post players entering their conference next year. I don’t they know Megan Furch’s impact at the school will go way beyond basketball and volleyball. 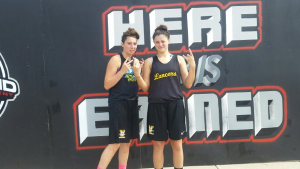 Megan Furch is going to bring people together and she will never put herself before her team and her school, because she has and always will be a PROGRAM KID. 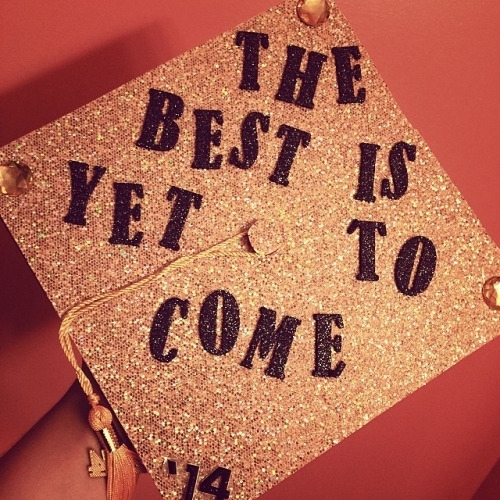 The Haverford staff will cry that day she graduates. 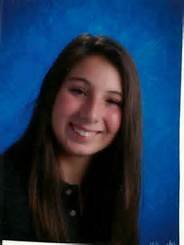 They will fell a hole in their heart….Meagan Furch can do that to you folks! 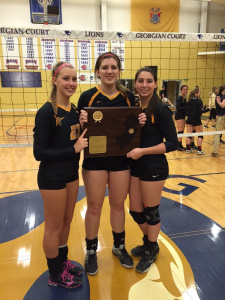 Furch will Join the Haverford Volleyball team…..and hopes to win Championships as she did at SJV in two sports! 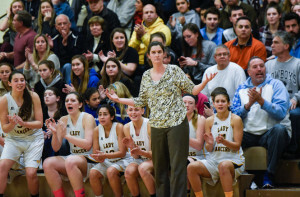 There is something about SJV kids, I really don’t know if it’s Coach Karpell and her staff or the school itself. I am not close enough to really understand why. But I really would one day like to understand how that can keep producing, not just great basketball players…but amazing people. 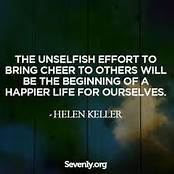 When I think about Zoe Pero, Gigi Caponergo, Tina LeBron, Kelly Crouch and all the other kids in the SJV program, one thing comes to mind…UNSELFISHNESS, GOODNESS. These are kids who its impossible not to root for, they represent everything that is good about high school sports. The SJV kids compete hard, but they do it together, never with disrespectful or anger. There families are just different, I can’t explain it. Its just something in these peoples hearts that they have passed along to their kids.. . They understand that being in a circle of quality people will have a long lasting affect on there children’s lives. 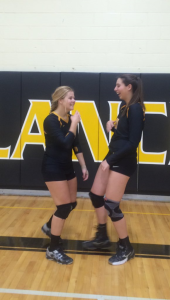 MEGAN FURCH HAS SO MUCH TOO DO WITH THIS ATMOSPHERE….SHE IS THAT PROGRAM KID WHO SETS THE TABLE SO THAT EVERYONE HAS A SEAT!….I LOVE MEGAN FURCH AND WILL MISS HER DEARLY….I WISH SHE DIDN’T HAVE TO LEAVE US!